Roasted leg of lamb is the traditional Easter Sunday lunch. Here is a simple recipe that can go a long way into making your Easter a scrumptious one. Heat the oven to 190 degrees Celsius. Rub the leg with mustard, and then sprinkle it with rosemary, salt and pepper. Peel, wash and slice the onion and carrots and together with the chopped garlic place at the bottom of a dish. Place the lamb over the vegetables, add the wine and water and place in the oven for about an hour and a half (depending on the size of the leg). Take out of the oven, scoop the vegetables and roasting juices into a small pot. Using an electric blender, blitz everything together until smooth. If too thick, add some hot water. Place on the stove, bring to a simmer, add the stock granules and dissolve. 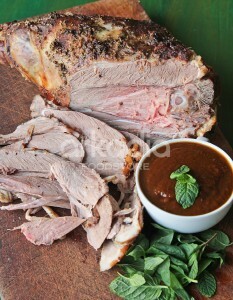 Serve the carved lamb with the hot thick gravy on the side. 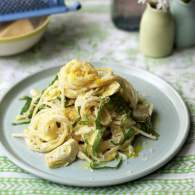 This recipe has been reproduced from the foodie | Issue 20 (Mar-Apr 2013).